Today is the last day to hand in basketball lunch order. If you have them, please get them to the office right away. We are sending our orders at 9:30. Grade 5 girls basketball practice today at lunch. Be ready to go after the first bell. Congratulations to the Bantam AA Martensville Mauraders hockey team for their win last night against the Saskatoon Outlaws. Thank you to everyone who came out the cheer them on. Tomorrow is World Down Syndrome Awareness Day. 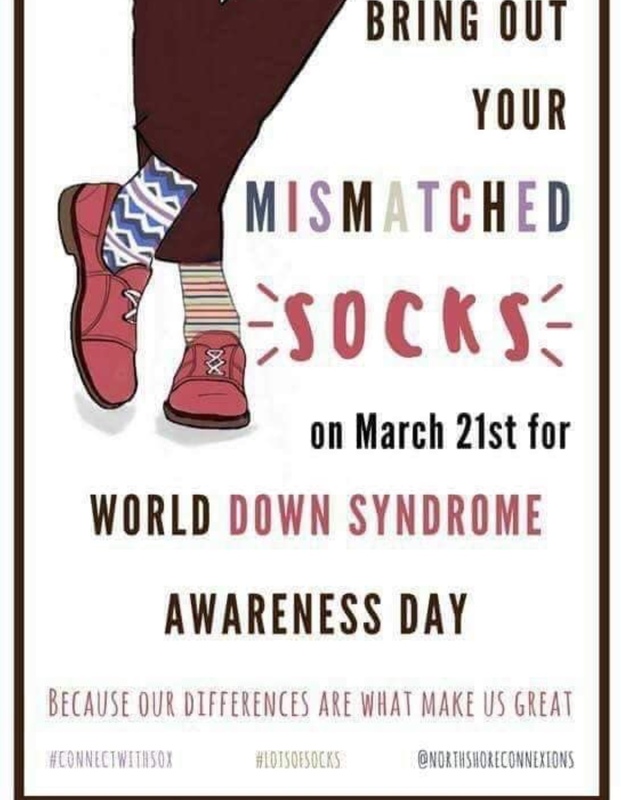 Bring out your mismatched socks to show our support and celebrate our differences!